The post that was here carried information that has become obsolete. Here are few places favored by the hobo community in Second Life. Just a few. There are lots of other places. I will report on others in later posts. 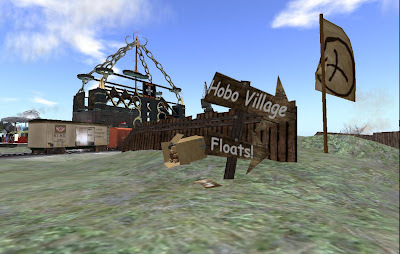 The Hobo Railroad Infoub is the original site of the Second Life Hobo Community. IndieSpectrum Radio is in the top 15% of all Shoutcast stations with over 40,000 unique listeners and 30,000 listening hours per month. -IndieSpectrum Radio has been broadcasting 24/7 since November 2007! 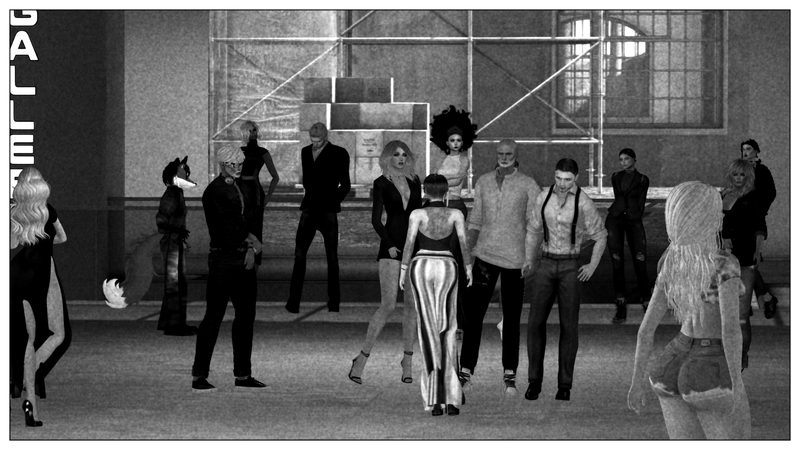 As of Jan 2011 we have over 240 SL artists and 1900 original songs on our playlist. Those figures got my attention. But wait! There's more! 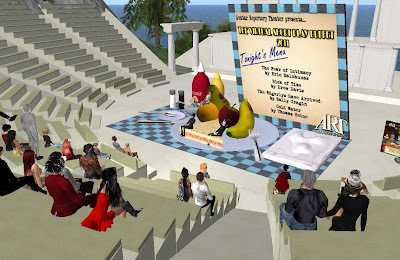 IndieSpectrum Radio's sole purpose is to expose more people to the amazing talent of the musicians in Second Life, and to promote their efforts as independent musicians by playing their original works. IndieSpectrum only plays original music from independent artists that are performing live in Second Life, or have, or are planning to soon. 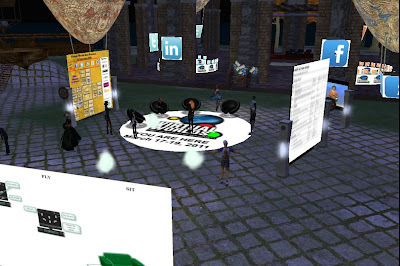 "VIRTLANTIS is a free resource and open community of practice for language learners and teachers in the virtual worlds of Second Life® and OpenSim. Learn English, Teach English, Free Language Learning, Speak English, Conversation, Study English..."
Description and calendar of events. 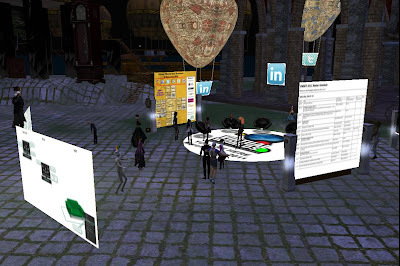 VIRTLANTIS, formerly referred to as "Second Life English", is a non-profit project of the Oxford School for English, a language school located in Göppingen, Germany which has been in operation since 1965. The Oxford School has been actively promoting language learning in Second Life via the Second Life English, VIRTLANTIS, and other related projects, since 2006. 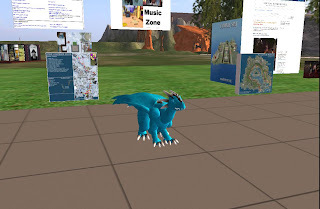 Many of our community members are therefore experienced in facilitating language learning within the virtual world of Second Life and are more than happy to offer friendship, pass on tips and provide support. 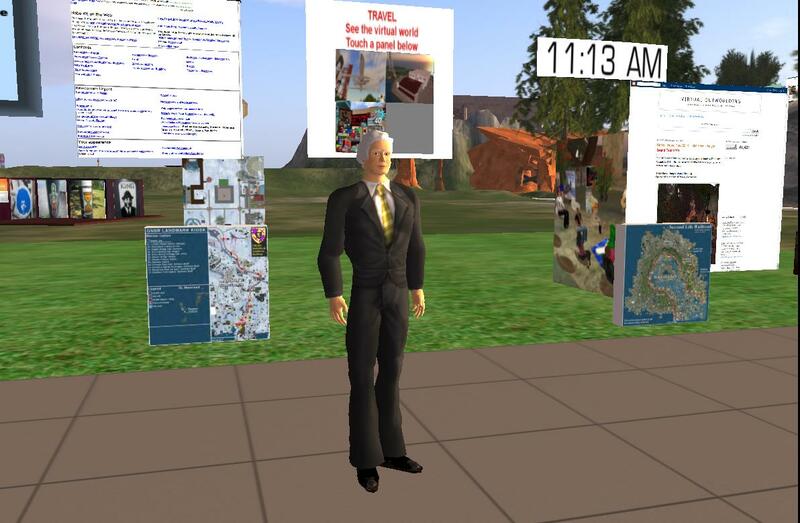 One of the special resources of Virtatlantis is the holodeck, which provides environments suitable for the study of language related to a particular context. Note: detailed instructions here apply to viewer 3.3+ The instructions may not apply to other viewers, particularly those in the 1.x class. Cost:: L$10 (ten Linden Dollars) per file. Bulk: upload several. Still costs 10 Lindens per item. Set Default Upload Permissions: I set this to full perm. If you leave this setting alone, the default will probably be no permissions. You will then run into various stops resulting from perms too restrictive. If you set the default to full perm, you can impose restrictions when you need to. The instructions here apply to the standard Second Life viewer, 3.4 or above. They may apply to newer third party viewers. Changing outfits is the easiest way to change your appearance. You will want more changes and you can have them. But the more changes you want, the more you will have to learn. So the best thing is to start simple and then decide what kind of changes you want. If you have not done anything to customize your current outfit, or if you don't care about keeping changes you have made in your outfit, go directly to the section ,Try on outfits. 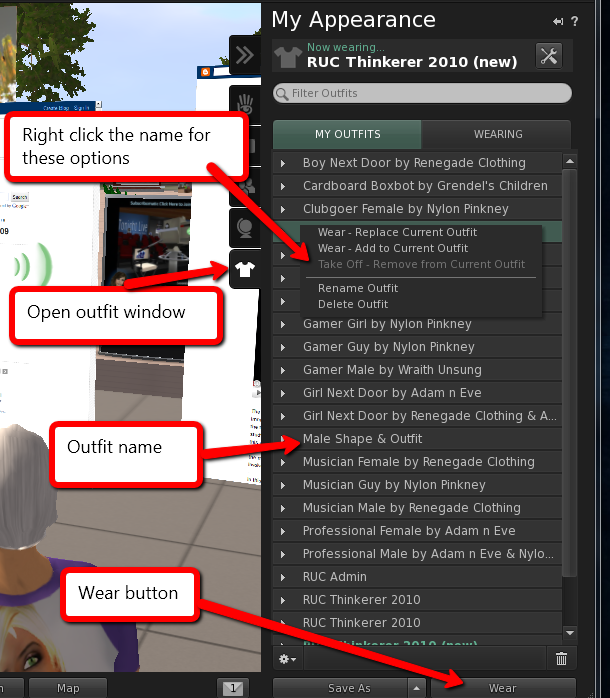 If you want to save your current customization, scroll down to the section, Save your outfit. If you see an outfit you want to try on, click on it to highlight it. Then click on the Wear button at the bottom right. Be patient, especially if your internet connection is slow. The full description of your new outfit has to be downloaded to your computer. 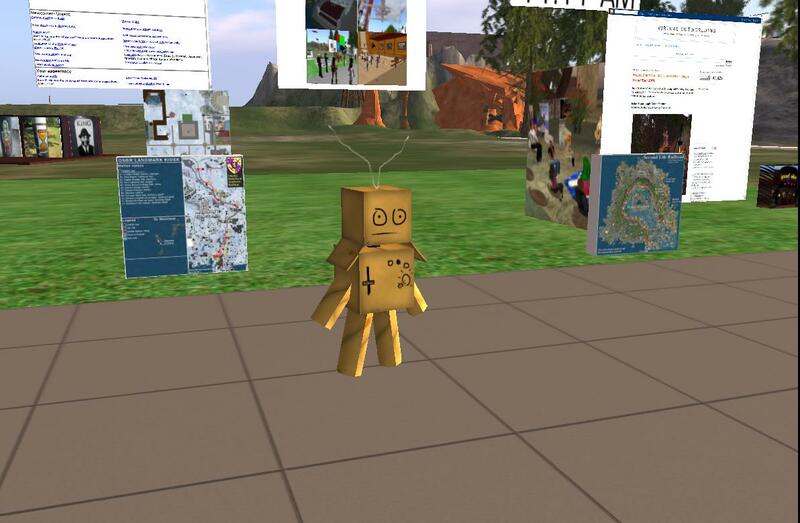 Here I am after a quick change to a new cardboard outfit. 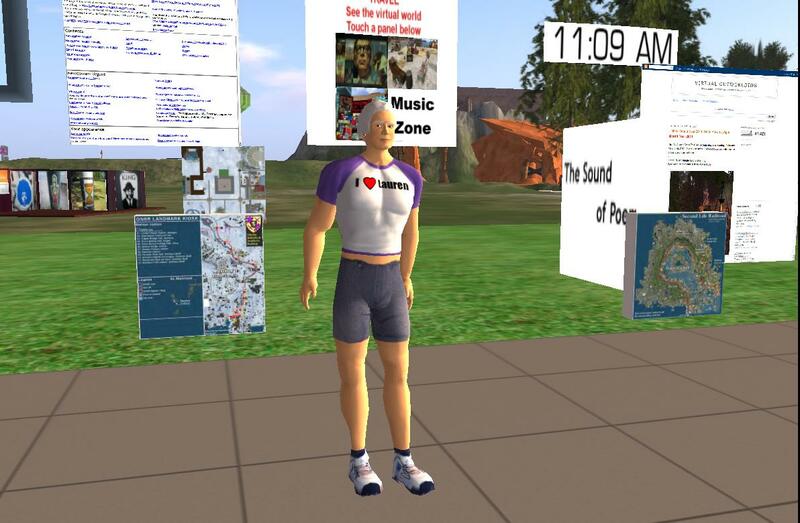 This is one of the outfits that newcomers have when they start. You can find it in your outfits folder. These changes took about a minute each on a connection with good bandwidth. They would probably thake longer on DSL or via a wi-fi connection. All the outfits except the first and the last are in the starting inventory, outfits folder. The first and last, the customary outfit and the business outfit, I have modified by adding clothes and editing appearance, I can easily get back to these because I saved them as outfits. You save an outfit you want to keep by a click on the Save As button on the outfit window. Be sure to use a name you can recognize later. Despite all these changes in outfit, I remained the same avatar. That is, I had the same name, Thinkerer.Melville. This is much like the situation with an actor in makeup. As an actor, you may change makeup and look like a space-alien. But behind the makeup, you remain the same person. Avatar. The specific registration ID. The more you want to do, the more you need to learn. These instructions apply to the standard SL viewer 3.4+ . Other viewers may be different. Under Format, click dropdown option. Click JPEG. Click dropdown options next to Save. Try the other buttons at your convenience. See what they do. 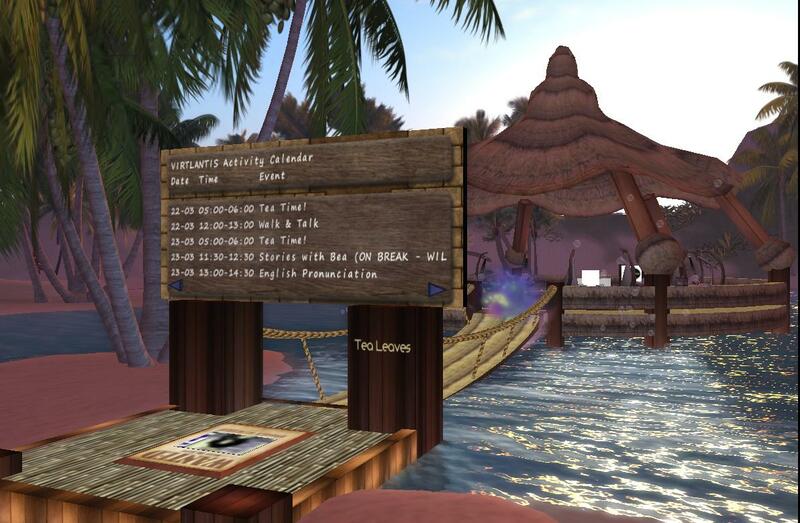 A video submitted to the Machinima stream of the Virtual Worlds Best Practices in Education (VWBPE). I think this teaching method may be AD/HD friendly. "If AD/HD is a medically treatable disorder, aren't schools obligated to provide instructional methods and conditions to accommodate these students with special needs?" " My microphone comes on without me clicking the button." Common reason: You are clicking a hot key. In preferences, Sound and Media, near the other mic adjustments, there is a place to set your hot key to turn on your mic or toggle it. If set to toggle, clicking on the hot key will turn on the mic and leave it on till you click the hot key again. 2013 HELP: Guide to streaming audio. Shoutcast. Performances. Audio stream: Send or receive audio, usually music, over the internet. Stream url: an internet address for a particular media stream. Winamp: A music player, software used to send an audio stream to loudspeakers. Parcel: a piece of land, like a lot for a house. About land panel: Set of windows used to control settings for a parcel. 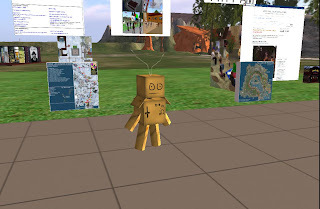 These instructions are tested on the current standard viewer offered by Second Life. That is version 3.3.4 at the time of writing. Other viewers may be differ in details. 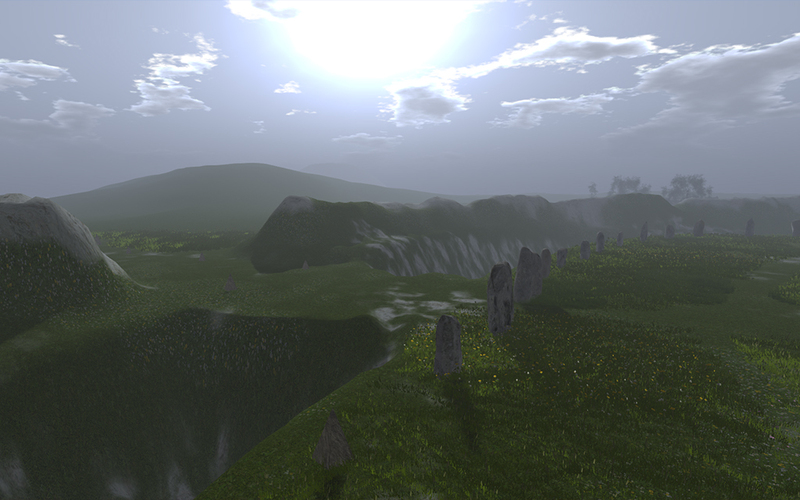 Watch on YouTube Entry in the VWBPE Machinima contest by German International Schools. Estate time is the condition most people are seeing. 2013 PROMO: promotion for Goony Island. How do you promote your projects? 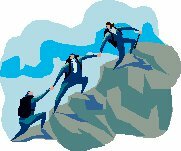 How do you promote your projects? This is how Goony Island does it. "Goony Island has been around for a while and now needs a shake up in order to grow with the times. We are looking for like minded souls of adventure who would be interested in renting a plot on the new island." 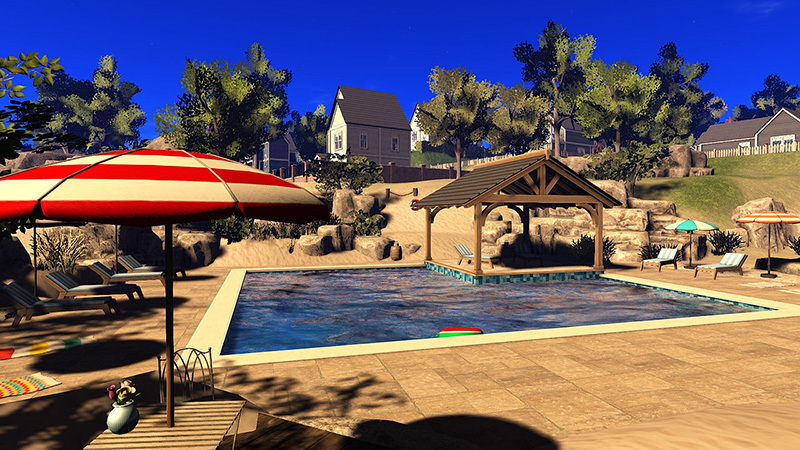 "We have Some General rated 1024sq & 512sq plots with double prim allocation for people who want to join our community of crazy inventive imaginative minds. Based around nostalgic adventures of childhood. Plots are L$1000 a week for 1024sq, and L$500 for 512sq. 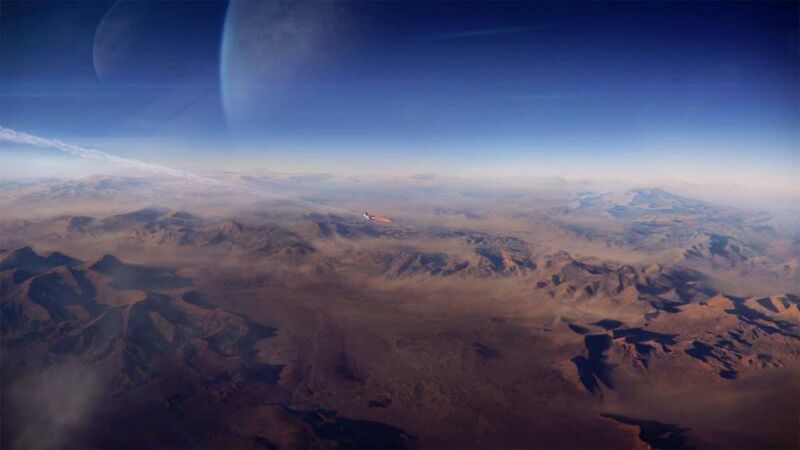 Terrain terraforming is allowed on request." Undergraduates get used to lab work. - The SWIFT project at the University of Leicester (Second World Immersive Future Teaching) has created a virtual genetics lab within the three-dimensional, virtual world of Second Life, to help students studying genetics and biological science. Phase one of SWIFT uses this virtual lab to help first year undergraduates become acclimatised to working in a laboratory; in particular to learn about the main pieces of equipment and the many health and safety factors involved. 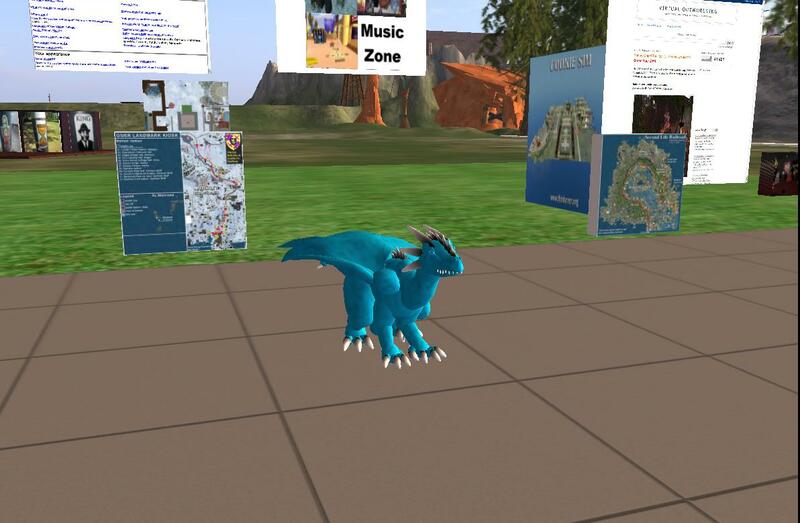 In this video, PD Alchemi (Dr Paul Rudman) and Trinity Quicksand (Dr Suzanne Lavelle) introduce the SWIFT project and the virtual lab. 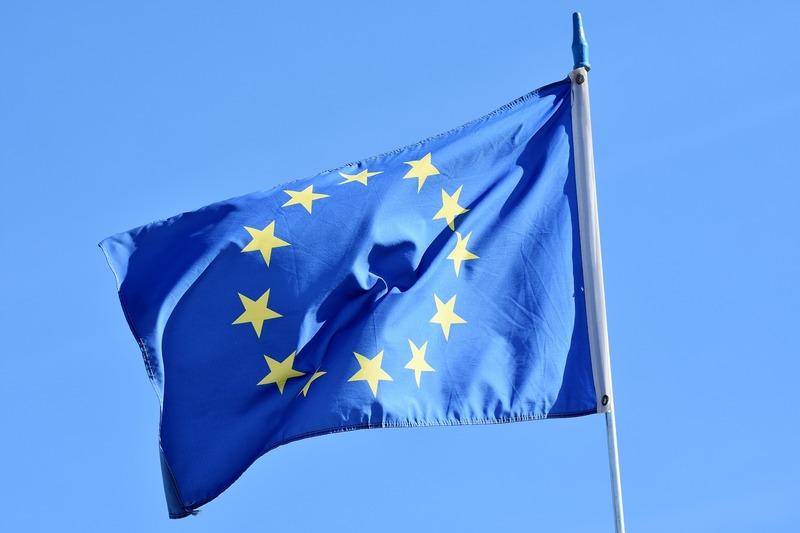 SWIFT is a three year research project by the departments of Genetics and Beyond Distance Research Alliance, and is funded by the Higher Education Academy National Teaching Fellowship Scheme (NTFS). The Principal Investigator is Prof.Annette Cashmore, Research Director is Prof. Gilly Salmon. The fourth catgeory is the People’s Choice and it lists all the Machinima videos in the order in which they were received.